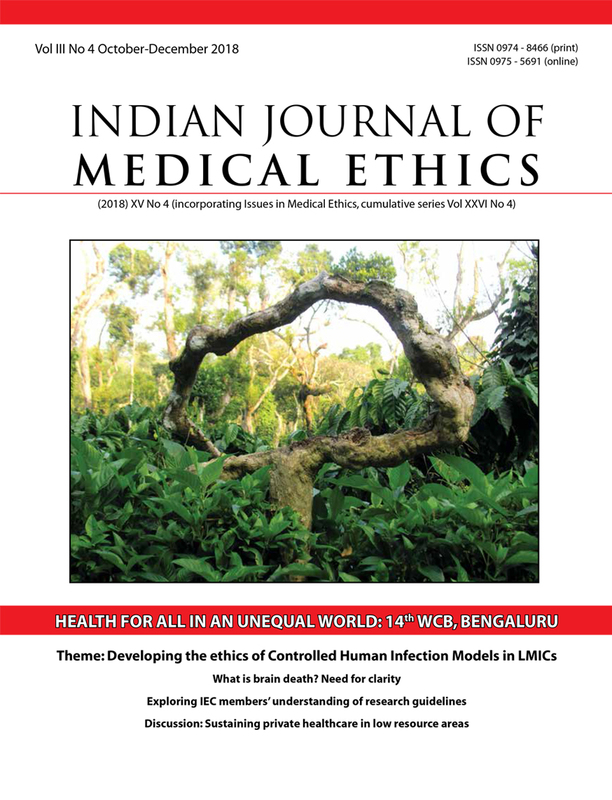 In this final issue of 2018, we have a special Theme section on Developing the Ethics of Controlled Human Infection Models (CHIMs) in LMICs. The theme essays explore the key facets of a controversial and, some would argue, necessary research field for India. From explaining what a CHIM is, through the scientific, social, human rights, legal and media perspectives on the model, and the essential safeguards to be built in, it is all here. Public communication about CHIM: What is the role of the media? Authors' response to commentaries on "Emergency care in rural settings"
Justice, equity and organ donation: A right or a wish?